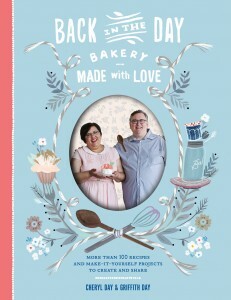 Enter your information below for the chance to win a copy of Back in the Day Bakery Made with Love by Cheryl and Griff Day. At Back in the Day Bakery in Savannah, Georgia, owners and bakers Cheryl and Griff make sure they not only bake incredible treats, but also pay attention to every detail. This is a bakery reminiscent of childhood, warm and friendly and always ready to share its plenty. In this cookbook, Cheryl and Griff do just that, sharing not only recipes, but tips, thoughts, and crafts to make all of your homemade efforts even more special. Contest runs from March 17, 2015 through midnight on March 24, 2015. 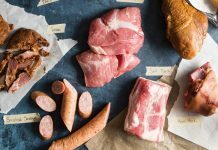 Hurry and enter to win! I love the recipes of theirs that I have already used and I can not wait to see this cookbook. 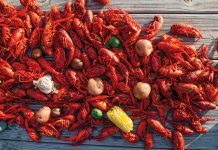 I enjoy Taste of the South for the stories, recipes and photos. I always look forward to each issue. I would enjoy having this cookbook. I remember seeing Cheryl on Paula Deen’s show. Cheryl and Griff’s cookbook sounds wonderful. Looking forward to trying recipes and ideas from it. This looks like my kind of cookbook. Hope I win. This looks.loke.it has lots.of wonderful new things tonlearn and.pass.on to our daughters , all.seven.of.them! I would love to have this cookbook it sounds great and I love trying new recipes on my family so I really hope I win a copy.